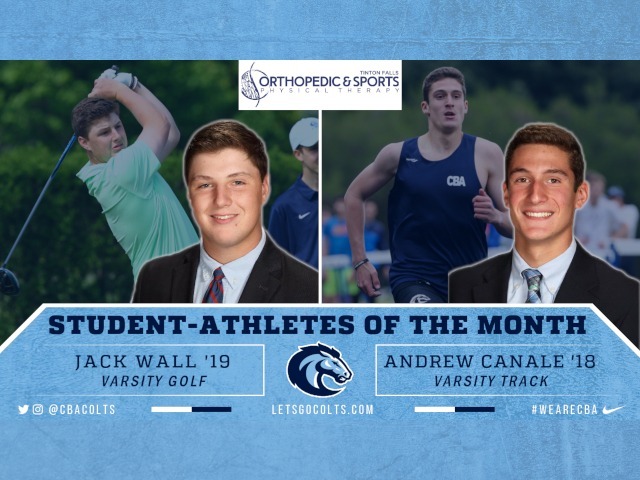 Christian Brothers Academy Athletics is pleased to announce that Andrew Canale '18 (Varsity Track) and Jack Wall '19 (Varsity Golf) have been named the May Student-Athletes of the Month, sponsored by Tinton Falls Orthopedic & Sports Physical Therapy. 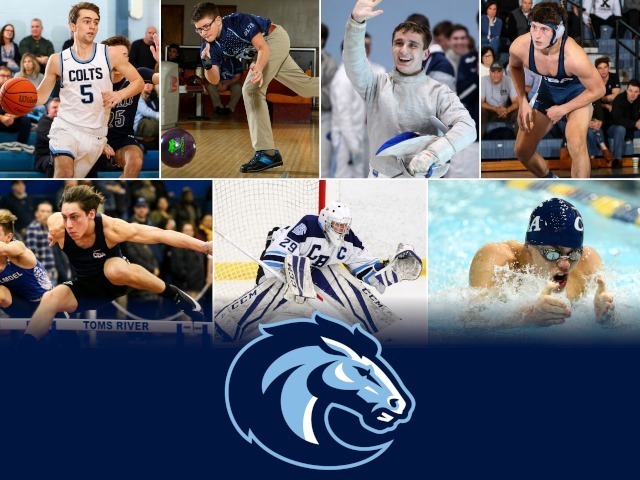 THE RUNDOWN: Andrew Canale was CBA Track's senior stalwart, producing big event wins when it mattered most. Canale did not lose a 400m race all season, winning the Monmouth County, state sectional, and state championship races along the way. 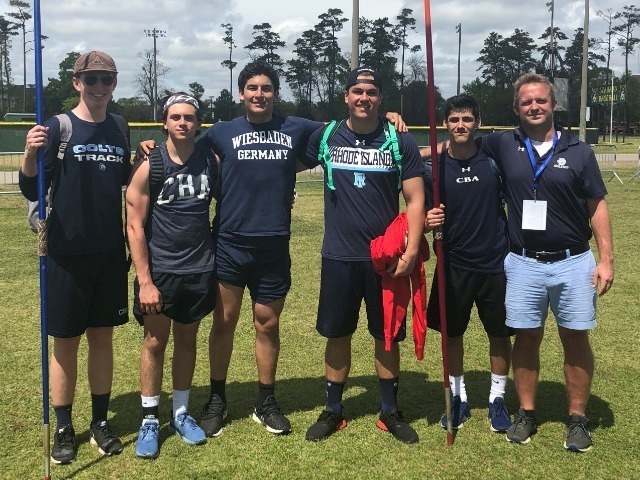 In the state championship, he anchored the 4x400 relay as the Colts won that event, en route to the overall state title. 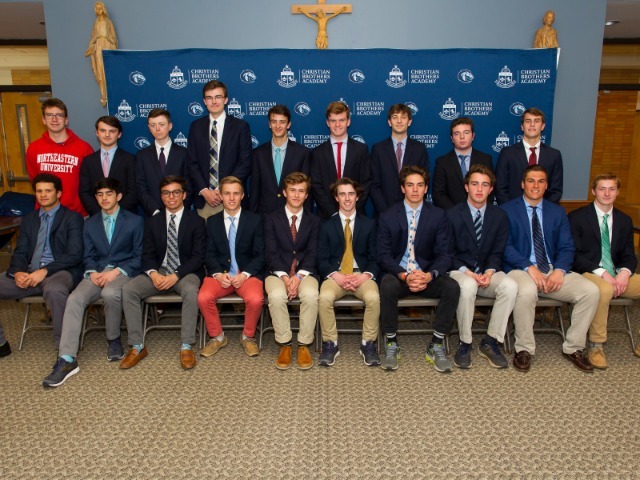 THE RUNDOWN: Jack Wall became the first CBA golfer, and just second player ever in the Shore, to complete the "grand slam" of individual tournament wins. 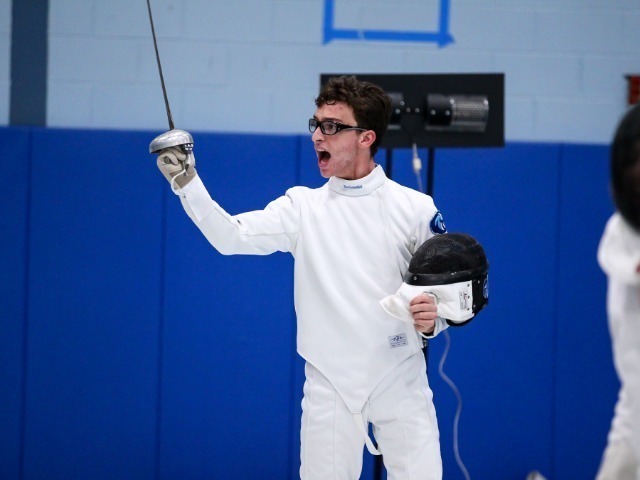 He won the Monmouth County, Shore Conference, state sectional and overall state tournament to help the Colts win each of those events as well. 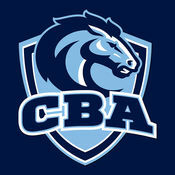 It was the second straight year that CBA won each of those events.